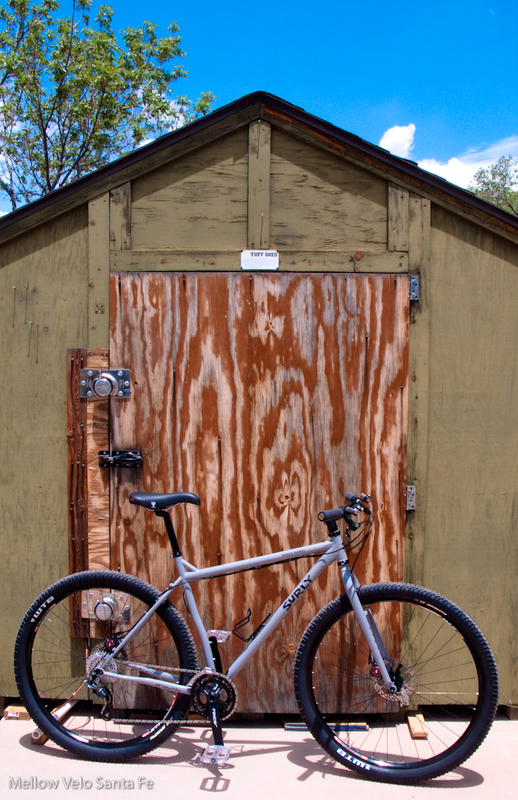 ← Check out this LOVELY All-City Nature Boy that we got for our buddy Kenny, it will make YOU green with envy! We built this for a scientist who needed an SUV that he can travel with… we LOVE the result. 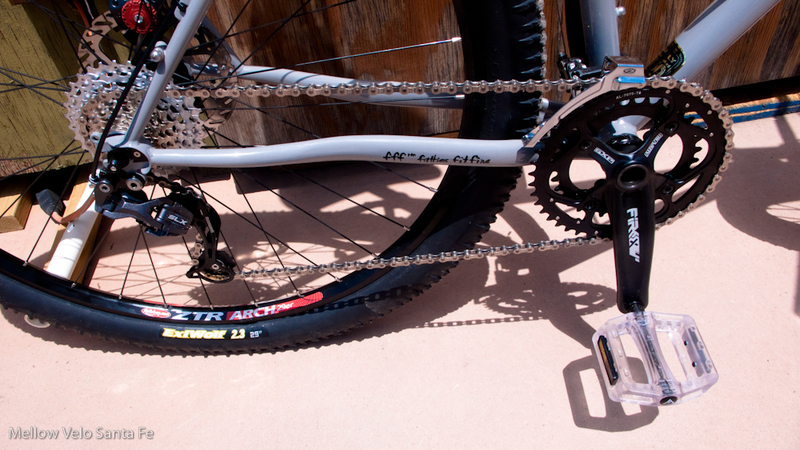 44 tooth Truvativ chainring added to the 34 tooth that comes with,,, just to widen your range. 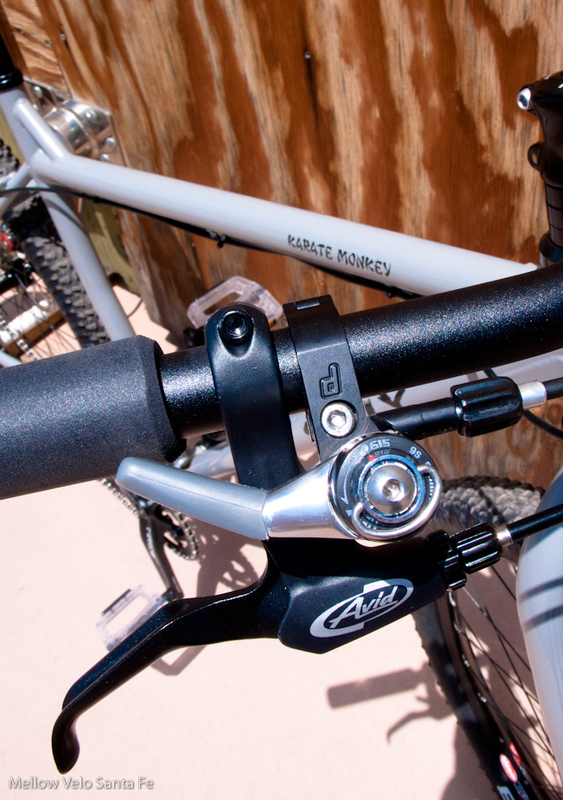 Dura-Ace shifters mounted to Paul Thumbies (our favorite), switch to drop-bars without buying anything else! Black Ops plastic platforms, they don’t hurt your shins too much! 2x9 drive is way flexible! 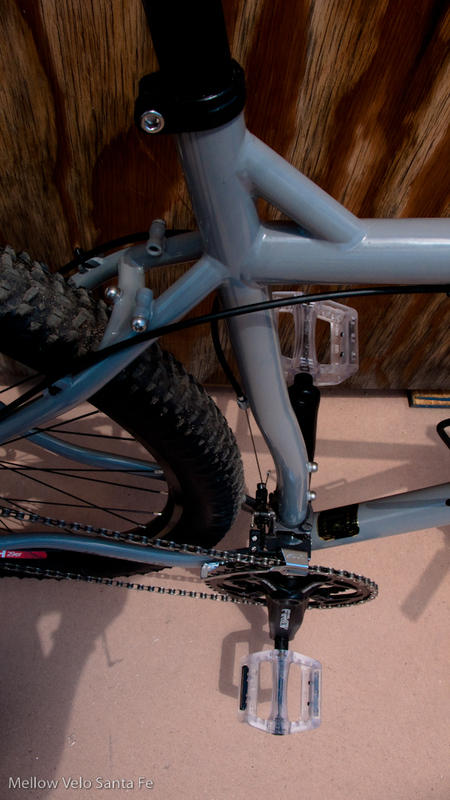 The details on this Battleship Grey frame are awesome. The gusset and the bent seat-tube are form and function at it's best!